Jan and Cora Gordon are not readily apparent in French accounts of the creative Bohemian artistic culture in the years before WW1. They were certainly active participants though and Jan Gordon had the benefit of direct knowledge of many of the emerging artists of that time in preparing his volume "Modern French Painters" (1923). "Although Futurism was a literary, patriotic, and sentimental Italian creed which added nothing to art, it was right in its insistence that we depend too much upon picture galleries." A 1916 account of the pre-WW1 Bohemian community (in "The New Witness") mentions a gathering in a Paris cafe of artists and writers of the time, two of which were futurists. 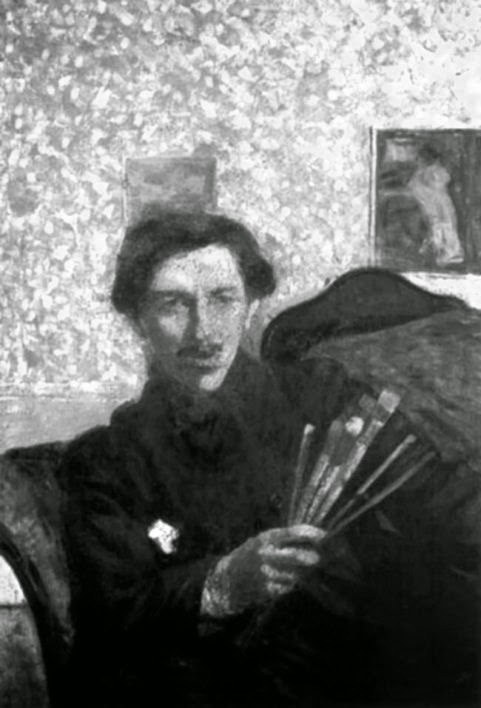 "There was B—, the futurist, killed lately by a wheel of a gun in the Alps", easily recognisable as Umberto Boccioni (1882-1916) the sculptor (this is yet another connection that has not been recognised before). He was injured during a cavalry exercise with the Italian army and died the next day, August 17th 1916, aged thirty three. 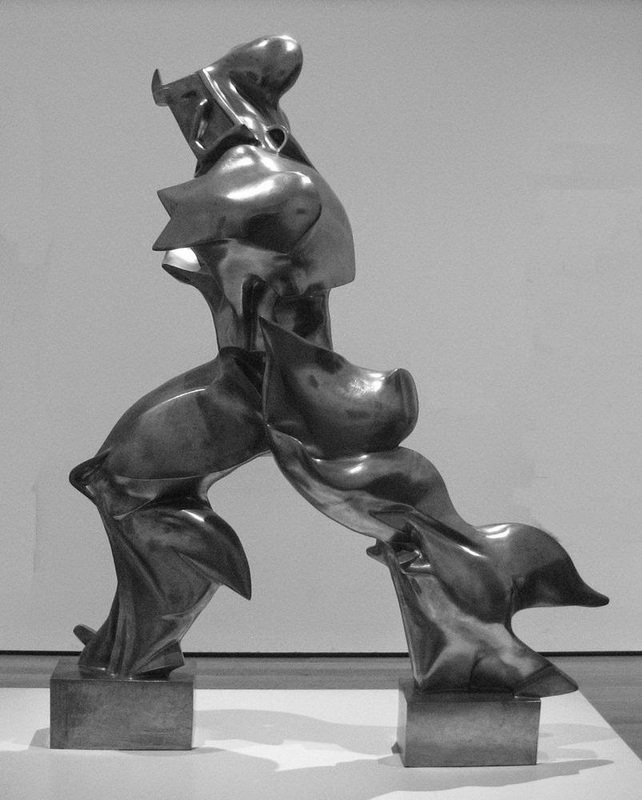 Boccioni produced some strikingly muscular sculptures, one of which is shown below. Also present in the group was "M-, the futurist leader", who "shouted his poem about the Racing Automobile.... " This is clearly Filippo Tommaso Marinetti (1876-1944), author of the Futurist Manifesto, published in 1909 in Italy and France. 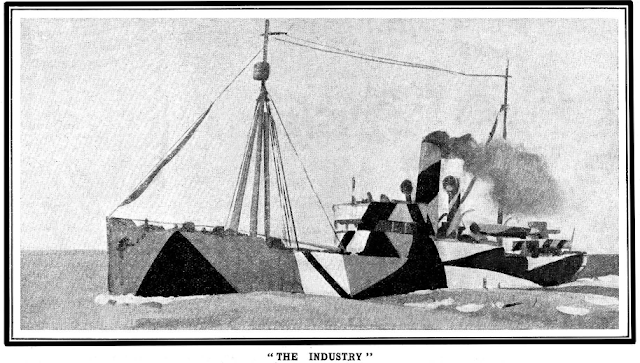 Futurism was "a rejection of the past, and a celebration of speed, machinery, violence, youth and industry; it was also an advocation of the modernization and cultural rejuvenation of Italy." See Marinetti's free verse poem "To a Racing Car." There is a poem by Marinetti painted on a wall in Leiden, The Netherlands (where I once lived and was married). Marinetti makes an appearance in Francis Carco's "The Last Bohemia" during the party thrown by Paul Fort when marrying his daughter to the painter Severini: "When Paul Fort is the organizer of festivities they at once assume immense proportions. And, indeed, when I arrived, the Prince of Poets was standing upon the piano and singing. The guests were drinking and congratulating each other and Marinetti whose magnificent white automobile showed off beautifully on the grey pavement of the Place de l'Odeon was abandoning himself to futuristic joys. He was breaking the china. It was splendid." Jan Gordon had also made reference to Marinetti in "Poor Folk in Spain" (1922): "Two men came playing the guitar and laud. Another followed with a gramophone which he carried from his shoulder by a strap. 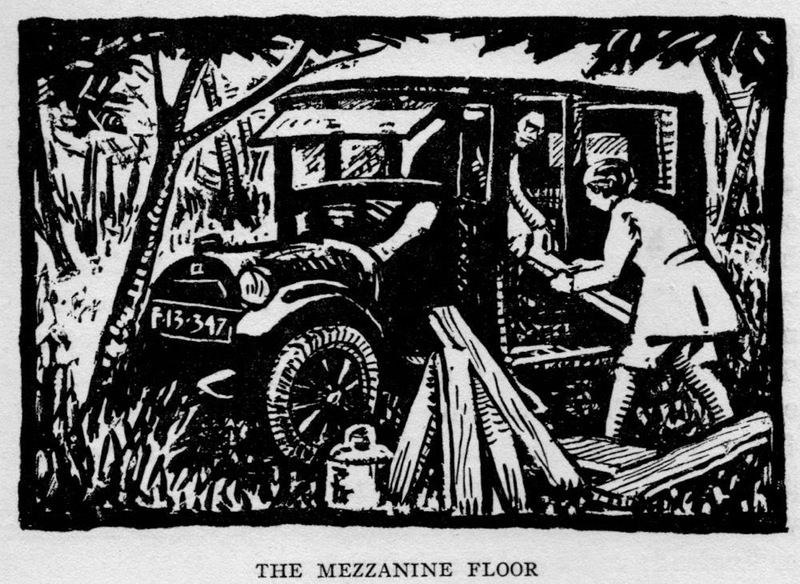 Then came the barrel-organ. We had not noted its arrival. Suddenly the most appalling din broke out. A while ago in Paris M. Marinetti organized a futurist orchestra; one could imagine that it had been transported in miniature to Murcia." 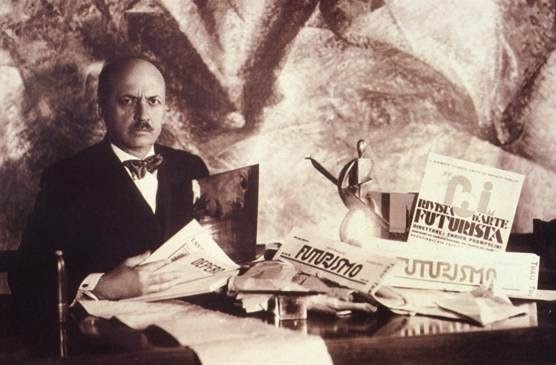 Futurism clearly contained seeds of fascism, with its explicit glorification of war and nationalism and Marinetti was initially very active in fascist politics until he "withdrew in protest of the "Roman Grandeur" which had come to dominate Fascist aesthetics."